What ticket type would you like? Please select which ticket type you want. Board a glass bottom boat from Corralejo to Playa Blanca, Lanzarote. Enjoy free hot lunch, unlimited bar and watersport activities like snorkel, kayak and banana boat. Relax at the stunning Papagayo beach. 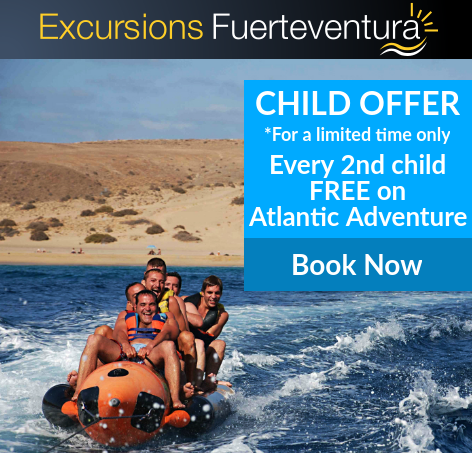 Book your Atlantic Adventure from Fuerteventura now. Bus Pick up from your resort in Fuerteventura and transfer you to the port at Corralejo where you board the an Express Ferry to sail across the La Bocayna strait to Lanzarote and the southern port of Playa Blanca. Spend some free time at the beach. 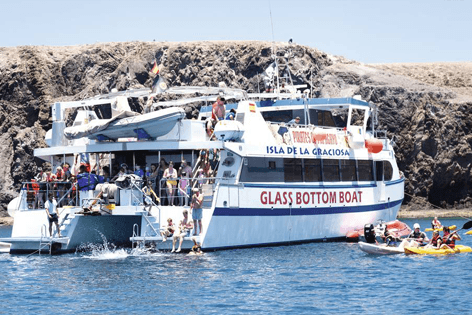 Board the glass bottom boat with an experienced crew. Sail leisurely and discover the underwater world of the Atlantic ocean. 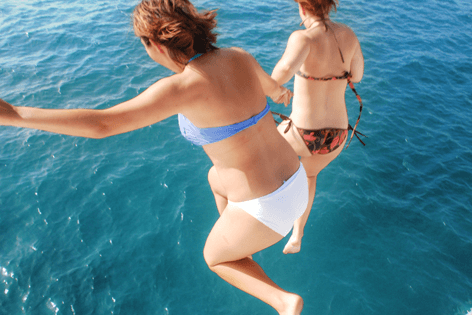 The boat then drops anchor at the virgin Papagayo beach for you to enjoy water sports activities like kayaking, snorkeling and banana boat ride, sure to get you hungry for a delicious hot lunch on board. You can also take a special small boat to enjoy the Papagayo beach and paddling at the water’s edge. After the hot lunch a leisure sail across the straits back to Corralejo, where your bus will return you to your resort. All inclusive bar with unlimited draft beer, sangria, soft drinks and water. Transport to and from your holiday resort or hotel . Experienced and knowledgeable English speaking travel guide. 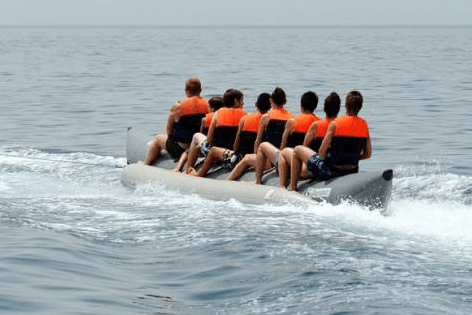 Banana boat ride – optional (supplement 2€). Swimsuit for swimming and sunbathing. Sunscreen for UV sun protection – Lanzarote weather gets hot! Hurry up !!! 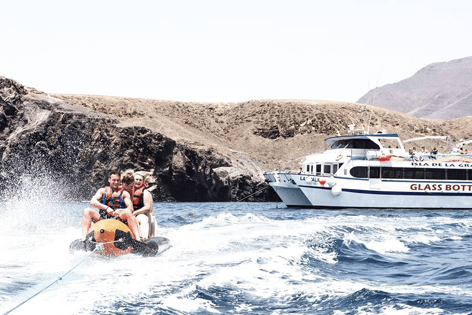 book your Atlantic Adventure from Fuerteventura to Lanzarote, enjoying the white Papagayo beach, adventure water activities and lots more. Fuerteventura is famous for its amazing beaches and dunes. There are lots of things to do in Fuerteventura, so much more than lazing at pool, hotel and and beaches. 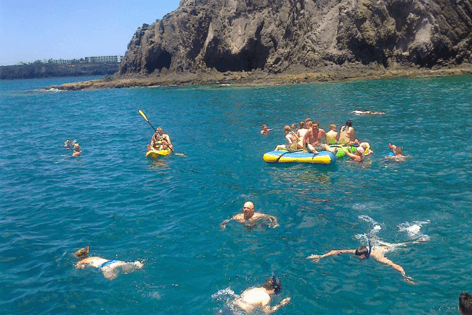 Explore Fuerteventura with the most popular excursions in Fuerteventura, Excursions Fuerteventura have found the best excursions for you at the best prices. If you want to take a tour of fuerteventura then look at the many land tours all in your language, Fuerteventura is close to Lanzarote so maybe take a ferry from Fuerteventura to lanzarote or join one of the many boat trips Fuerteventura has to offer. Lots of markets to to get the best bargains. 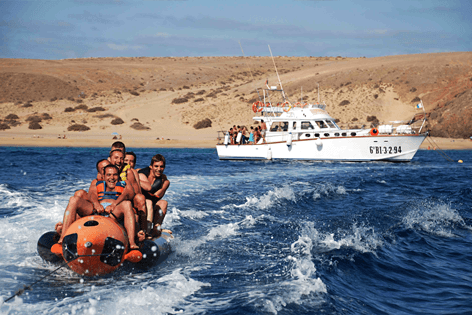 Book your Fuerteventura excursions with us!!! !